NEST Important Dates 2019 - The National Institute of Science Education and Research (NISER) and the Department of Atomic Energy Center for Excellence in Basic Science (CEBS), University of Mumbai, the joint conducting bodies of NEST has released an official notification regarding NEST 2019 important dates on January 2, 2019. The important dates of NEST 2019 will be available to candidates in online mode. 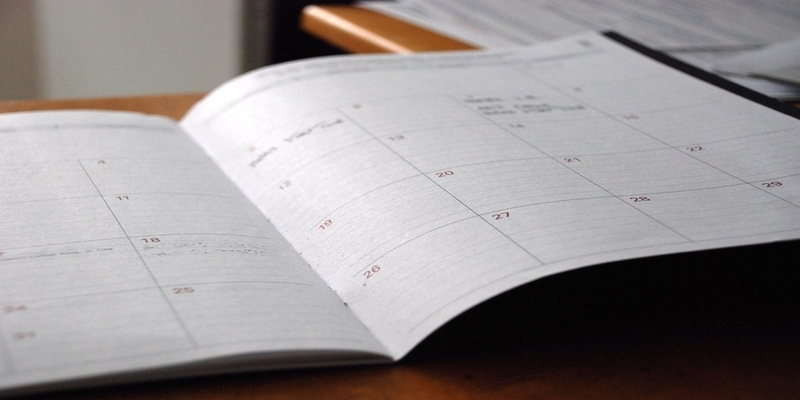 Candidates can find the entire list of NEST important dates 2019 below in the page. In this page, the dates of all vital events related to NEST like application, issue of admit card, entrance examination, and the announcement of results are given. It is advised that candidates keep a track of NEST 2019 important dates so that they are abreast of all key events and do not miss out any and cost their admissions. As per the important dates of NEST 2019, the application process for NEST 2019 commenced from January 7, 2019. The application window was closed on March 18, 2019 (midnight). NEST, also known as National Entrance Screening Test, is conducted for students who wish to seek admissions into National Institute of Research for its five-year integrated M.Sc. programmes in Biological, Mathematical, Chemical, Physical, Environment, and Computer Sciences. NEST 2019 will be conducted on June 1, 2019. For the whole list of NEST important dates 2019 and answers to frequently asked questions, candidates may read further. Candidates are advised to go through the given table specifying important dates of NEST 2019. The table mentions application, admit card, entrance examination, and result dates and timings. These dates should be made a serious note of by candidates since missing out on these important events can cost candidates’ admissions. NEST 2019 Admit Card - According to NEST important dates 2019, the admit card will be issued by the conducting board on April 24, 2019. NEST 2019 Exam - The entrance examination will be conducted on June 1, 2019, in two sessions. NEST 2019 Result - As per the NEST 2019 important dates, the results will be announced ion June 17, 2019. Q. Are the important dates of NEST 2019 mentioned above are definitive? A. No. The above dates are tentative. They are based on the official notification regarding NEST 2018. Therefore, these dates are subject to change. However, the page will be updated once the conducting board releases an official notification regarding NEST 2019. Q. When will the official notification regarding NEST 2019 important dates be released? A. The conducting board has released the official notification regarding NEST 2019 January 2, 2019. Q. When will the application form be released as per the NEST important dates 2019? A. The application form will be released on January 7, 2019. Q. When will the entrance examination be conducted as per the important dates of NEST 2019? A. NEST 2019 will be conducted on June 1, 2019. Q. What are the timings of NEST 2019 according to NEST 2019 important dates? A. The examination will be conducted in two sessions. The first session is from 9 AM to 12: 30 PM and the second session is from 2: 30 PM to 6 PM. Q. By what time should the candidate reach the exam centre on the day of examination? A. The candidate should reach the examination centre at least thirty minutes before the commencement of the examination. As the NEST important dates 2019 specifies that the examination will start from 9:00 a.m. Therefore, it is advised that candidates reach the examination centre by 8:30 a.m.
Q. What time can the candidate leave the examination hall? A. Candidates cannot leave the examination hall before one hour of commencement of examination. As per the important dates of NEST 2019, the examination will begin at 9:00 a.m. Therefore, candidates will not be allowed to leave the examination hall before 10:00 a.m.
Q. By how many minutes can candidates be late for the examination? A. Candidates will be allowed to enter the examination hall no later than thirty minutes of commencement of examination. As per NEST 2019 important dates, the examination will start from 9:00 a.m. onwards. So candidates will not be allowed to enter the exam hall later than 9:30 a.m.